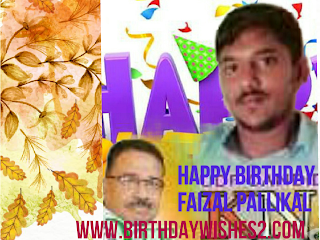 Happy birthday Dear Faizal Pallikkal - birthdaywishes2- Birthday wishes sms,birthday wishes images,,special birthday. 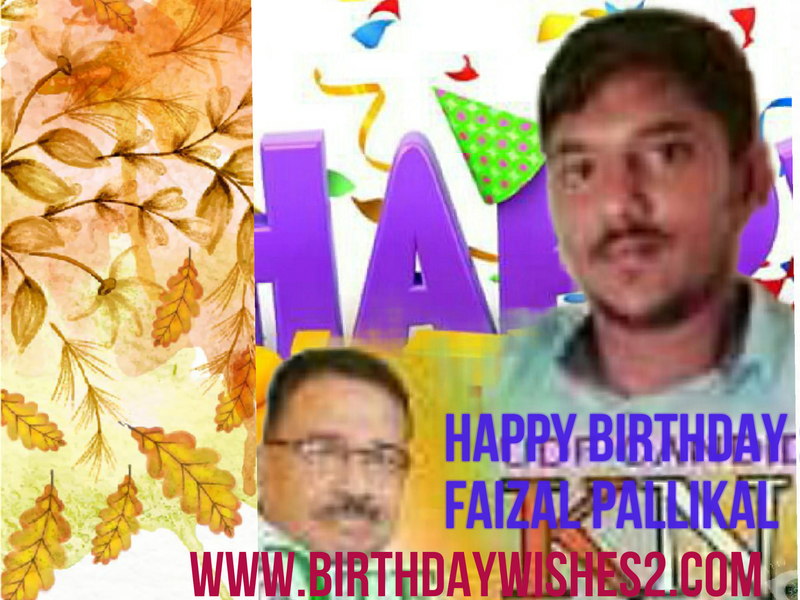 Faizal PaHllikkal is celebrating his birthday today. He is working as a Driver 😮 & it's own business. He studied Government Art's Collage Ooty. Primary education at AMUP School Puthur Pallikkal. His high school was at VPKMMHSS PUTHUR PALLIKKAL. He is living Malappuram. Home town kondotty. He got married since 2015.